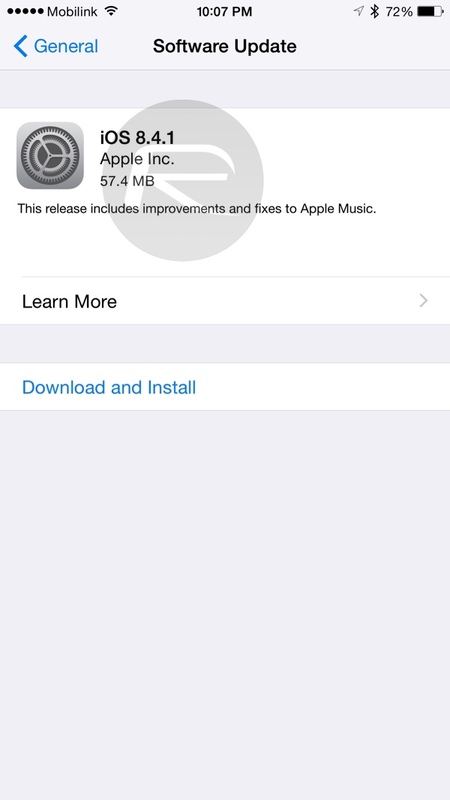 Apple just released final version of iOS 8.4.1 download links for iPhone, iPad and iPod touch users. This release comes almost a month after iOS 8.4 was released with support for Apple Music in late June. 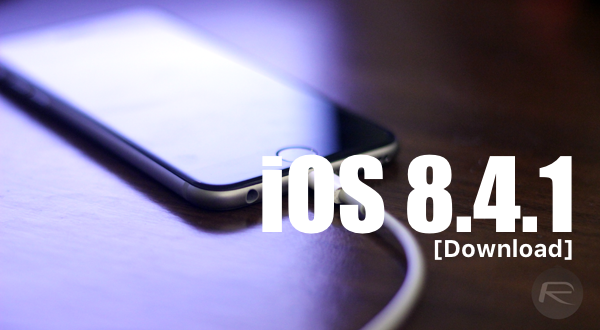 iOS 8.4.1 will likely be the last release of iOS 8. With iOS 9 in beta since early June, it is expected to launch alongside new iPhone 6s and iPhone 6s Plus at an event next month in September. While there is no 100% confirmation yet, rumor has it that Apple has patched exploits used by TaiG to jailbreak iOS 8.4, and iOS 8.1.3, 8.2 and 8.3 before it. If you’re a jailbreaker and care about all the tweaks you have installed, DO NOT update to iOS 8.4.1 until there is any confirmation on jailbreak front. We’ll obviously post here as soon as we get to know more about it. Those of you who don’t care about jailbreaking, you can simply update over-the-air to the latest version by heading to Settings > General > Software Update. Alternatively, you can also update using iTunes by downloading the IPSW file for your device from the links given below. You may also need the IPSW file if you’re planning to do a clean restore of iOS on your device. Update x1: Apple has patched jailbreak exploits in iOS 8.4.1. More on this here. WHY? Good god man because 8.4 may very well be the last jailbreakable version ever from Apple you update to 8.4.1 (which btw has almost ZERO improvements) and you’ll never be able to jailbreak again. well we should all boycot this build as it is a cowardly act by apple blocking the freedom of iOS devices. no one should update it to iOS 8.4.1 and then apple will remove the build. I was testing free-unlocz to unlｏck my iphone 6+, the phones were fine for some time but than it got closed back after 10 days.It was quite unlucky or i was stupid to use them? Bloody hell.. Than i found your post jasons Wow, professionalThat was the very best solution i want to use ATiPhoneunlｏcking, the iphone i’ve unlｏcked with them is still good. I think they are the absolute most qualified remove simlock provider. Jailbreaks expose security flaws, so it’s obvious they’d want to patch them. 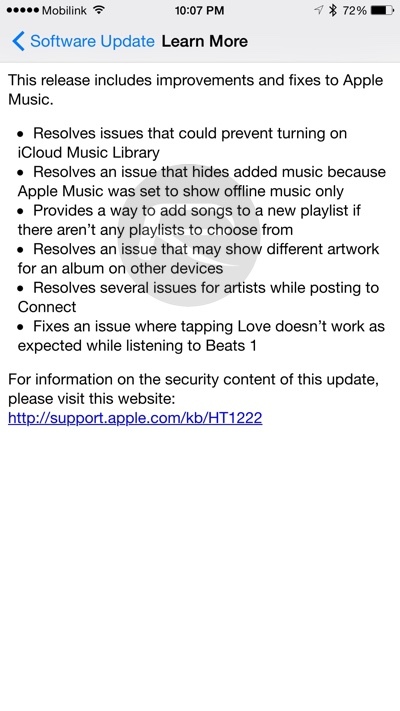 It also fixed a ton of bugs with apple music. Did anyone else’s shutter button move to the right side of the screen with the 8.4.1 update? Are there people still doesnt learn how to սոⅼοсking AT&T devices PERMANENTLY??? There is a great site for it. Go check out just google atttiphoneuunloockiing, we can do it really fast! my wifi cannot turn on, my bluetooth keep searching after updating ios9 on iphone 4s, is downgrading the firmware will fix those problems? Did anyone had a same problem like me?